We are harvesting the last of the spinach and basil. This pesto can be used as a condiment for sandwiches, slathered over roast chicken, or as a sauce for pasta. It comes together quickly and can be stored in the refrigerator about a week or frozen. Put spinach, basil, pine nuts, garlic, lemon zest and juice, salt, pepper, and Parmesan in a food processor. Turn on and while running, pour in olive oil. Process until combined, scraping down sides as needed. 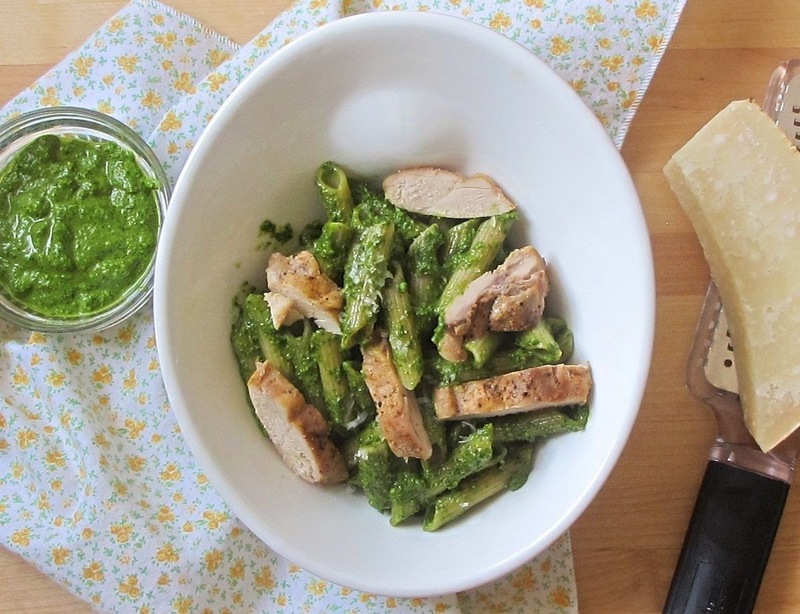 Put pesto in a small bowl, use as needed.